Builds On Tier 1 Certification – you need an additional 300 hours of training to become an Advanced Teacher. Use Your Title – you have the right to call yourself a “Certified Advanced Holden QiGong Teacher” verbally, in your teaching, and in print or online, including marketing and other materials. Teach More Movements and Meditations – you have the right to begin teaching a wider array of Holden QiGong techniques and methods. Start to develop your own style by focusing on what interests you the most. Designation on HoldenQiGong.com – we’ll prominently mark your listing on our website as an Advanced teacher. Maintaining Your Certification – you have the responsibility to continue your training by adding at least 20 hours of Live/Online Trainings every 2 years. 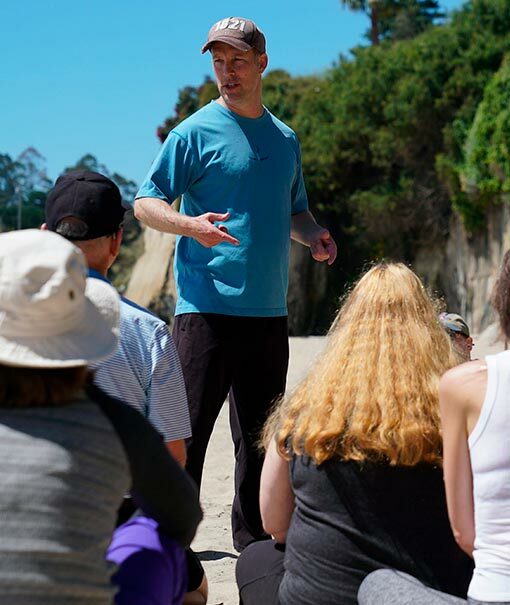 Eligible trainings include: Live Workshops/Events, Medical Qi Gong, and/or Immersion Program training. Note – you may also choose to maintain the Video Class Subscription for one year, which will count for up to 10 of these hours. These have a profoundly relaxing “unlocking” effect on the body, especially the lower back. Learning to massage the light switches of the body brings you healing, relaxation, and more energy. We explore the Taoist ways of breathing, and work this into Qi Gong practices to build power. A big part of Tao Yin is manifestation: focusing clearly on what you are working toward and setting intentions. Sign up for Tao Yin Here. You’ll use these standing postures to build and store Qi in the lower Tan Tien, the seat of the Pearl of Consciousness, and circulate it through the meridians. You will build this Pearl of Consciousness and pack it with Qi, as you begin to sense how you’re independent of the physical aspect of your being. Discover how you can bring Qi in from all elements of the environment, and pull this into your Tan Tien for more grounding and inner strength. Discovering the Taoists’ relationship with nature, life, and death will help bring you into harmonious relations with the world around us. Taking another level of detail in the principles of flow and their application in flowing movements, so you can fine-tune your practice. Sign up for Taoist Internal Alchemy Here. Go deeper in The Five Elements and The Three Treasures practice and theory. 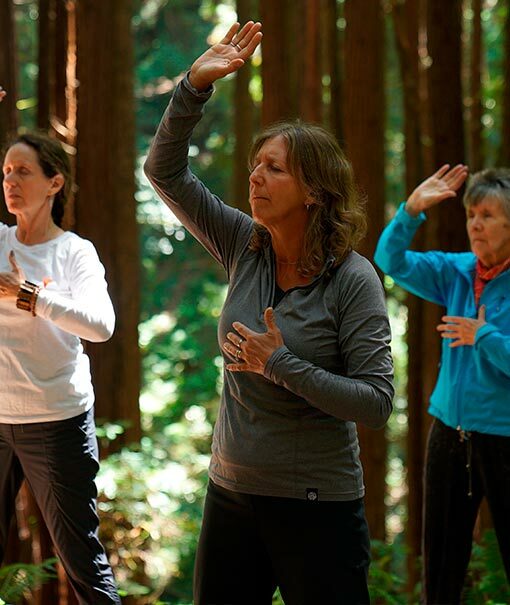 Discover how your passion for practicing Qi Gong can turn into a viable business. Discover how to teach at health and fitness clubs, yoga centers, corporations, host your own workshops and teach students one on one. You’ll have the opportunity for mastermind sessions and small group sessions on specific topics. Immerse yourself in the energy of the retreat for transformational learning. Including Leta Jusilla, Tony Galin, John Platt, Ben Cox and Karen Holden. We all have internal limitations and upper limits in our beliefs, our minds as well as old programming. Break through internal limiting factors that hold you back from reaching your potential. Sign up for The Advanced Teacher Training Week Here.